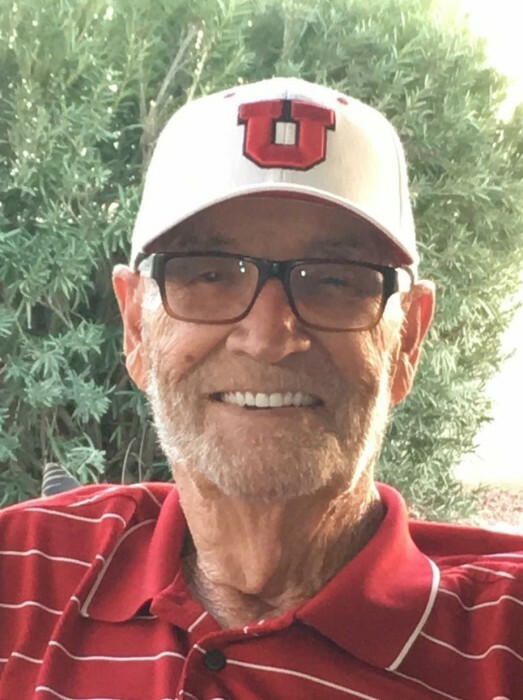 Magna, UT-Robert Clifford Jones, 1938 - 2018. He was “merely 80”. Bob passed away November 11, 2018 from complications after a fall at home. Bob was born June 19, 1938 in Garfield to Clifford Vaughn Jones and Alice Madsen Jones. He married Terry Wilkin and just celebrated 64 years together. Bob worked at PCA 32 years where he was a hard worker and had a real talent for managing and motivating the SLC PCA employees and together they were some of the most productive corrugated manufactures in the PCA network. After retirement he worked many years at the Palms Golf Course. Bob was proud to be raised in Garfield and regularly referred to his childhood in Garfield. Bob loved all Sports. He coached Little League and Cyprus American Legion baseball. He loved competition and golfing, was a lifetime member of the Copper Golf Club, and loved time spent with friends after golf. Bob was an avid reader. He loved animals and was a regular at the dog park in Mesquite, NV where he spent time daily with friends. Bob is survived by his wife, Terry; sons, Scott Jones, Brooks (Stacey) Jones, and Marty Jones (Yvette); grandchildren, Tyler (BryAnn), Taylor (Paige), and Zach; 5 great grandchildren. Preceded in death by parents; daughter, Jan Jones Foutz; son, Jed W. Jones. A special thanks to Connie Blandi Jonas for all her love and care. At his request, Bob will be cremated and a celebration of life will be held at a later date.